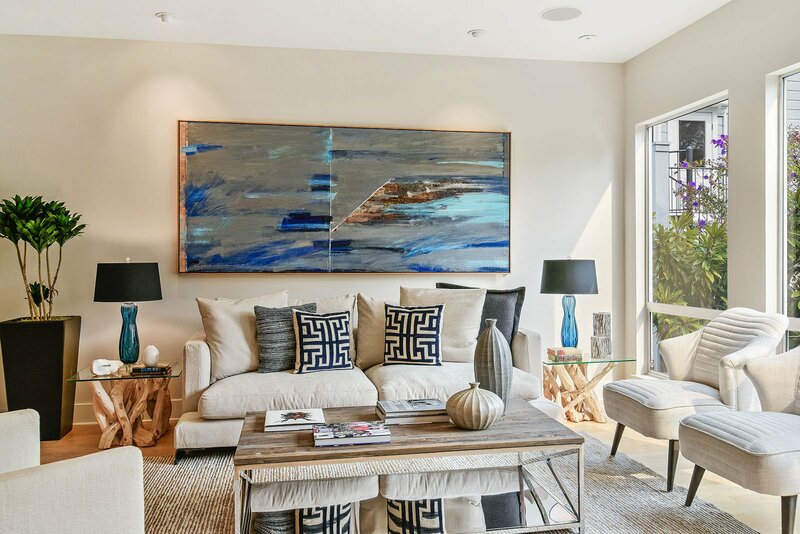 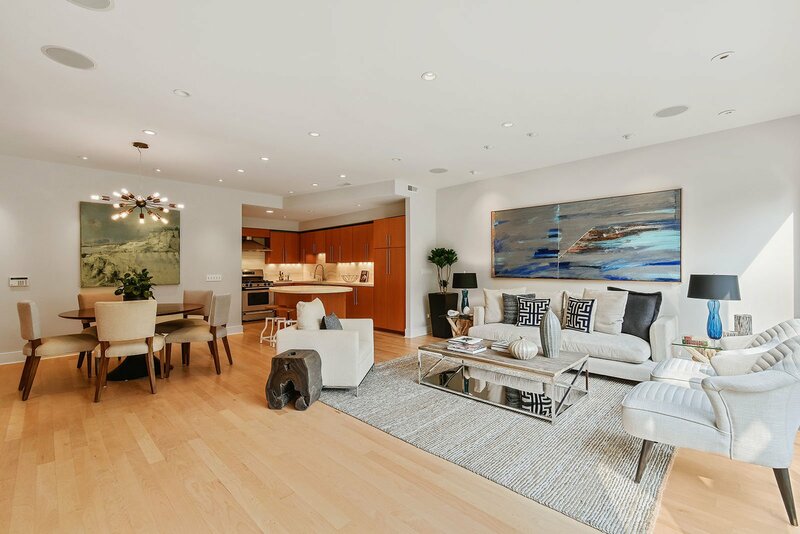 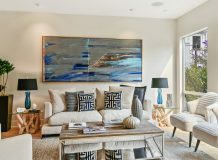 This stylish condominium embraces a superbly designed floor plan with three outdoor decks and numerous windows that bring in abundant sunlight, making the unit feel open and airy. 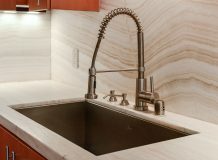 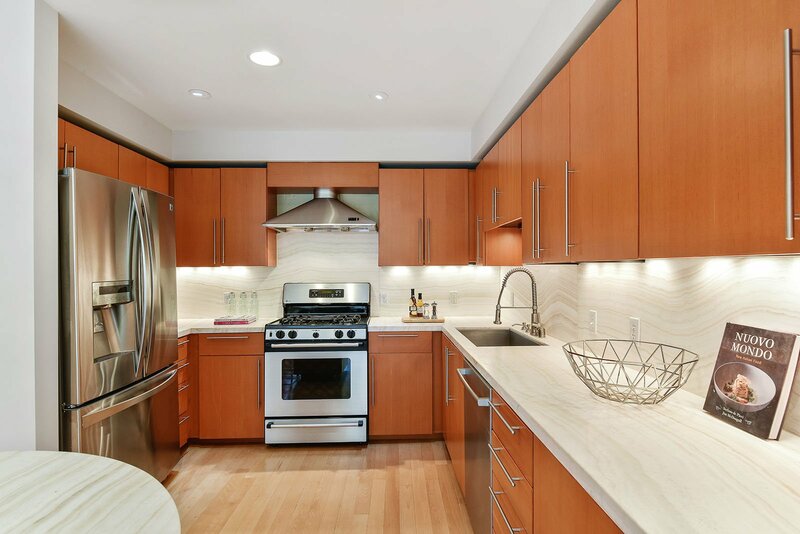 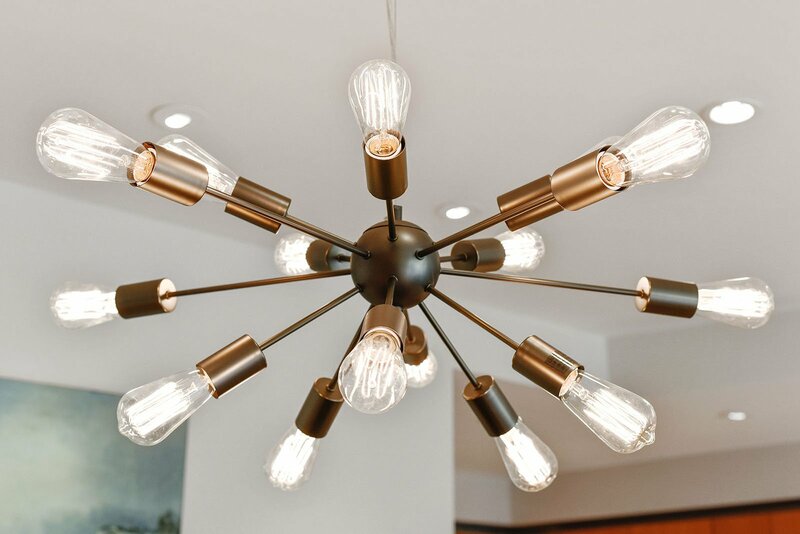 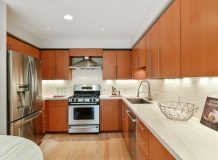 The upper, rear unit in a 2-unit building, this two-level condominium utilizes the main level as ‘great room’ living with the modern kitchen open to the living and dining areas. 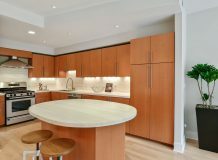 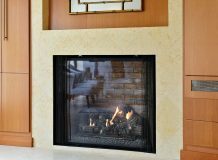 Amenities abound, including beautiful, built-in cabinetry, a gas fireplace, flat screen TV, wine refrigerator and a spacious, moveable island. 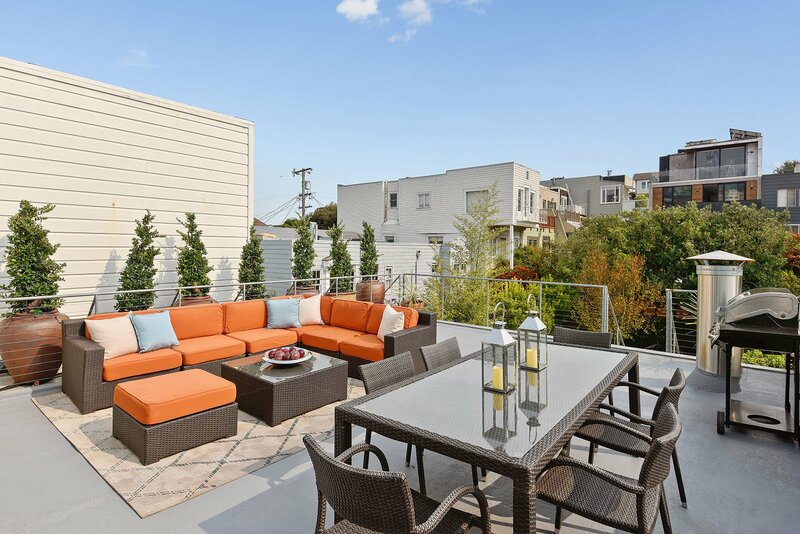 A huge, east-facing terrace is an ideal place to linger over breakfast or to entertain your friends. 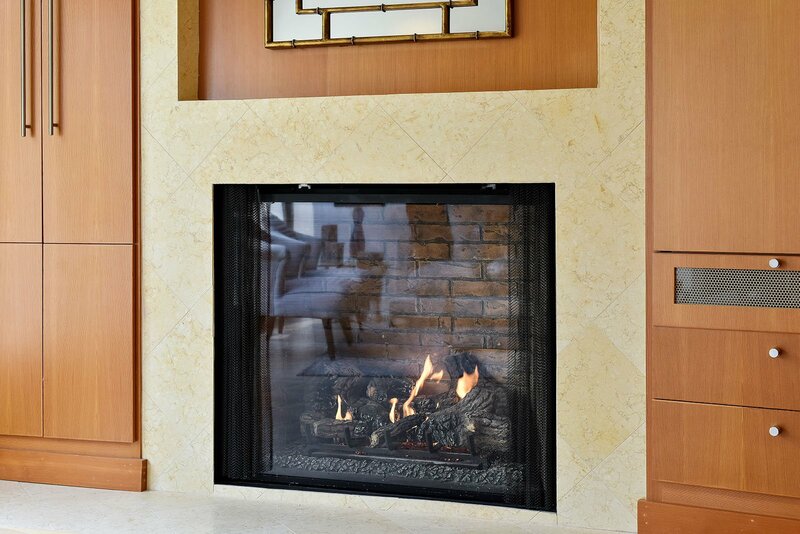 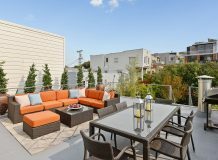 Enjoy views of the common garden from the living room deck and the large terrace. 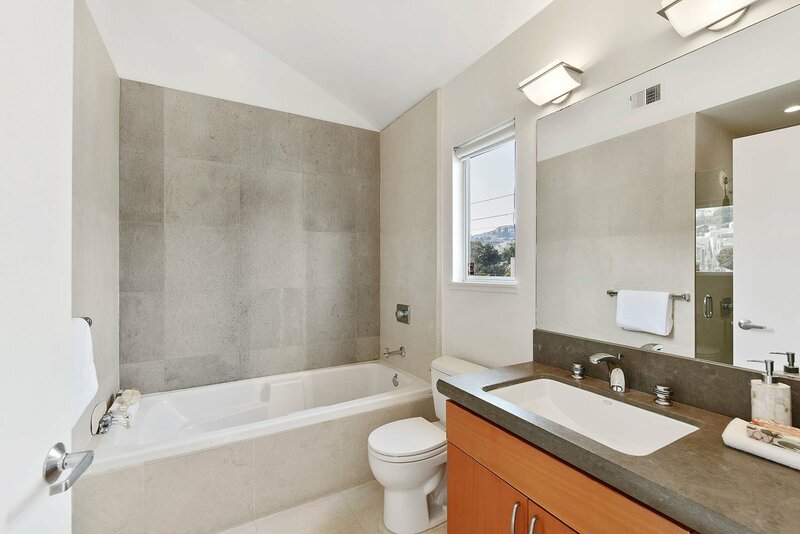 Two bedrooms and two baths are located on the upper level. 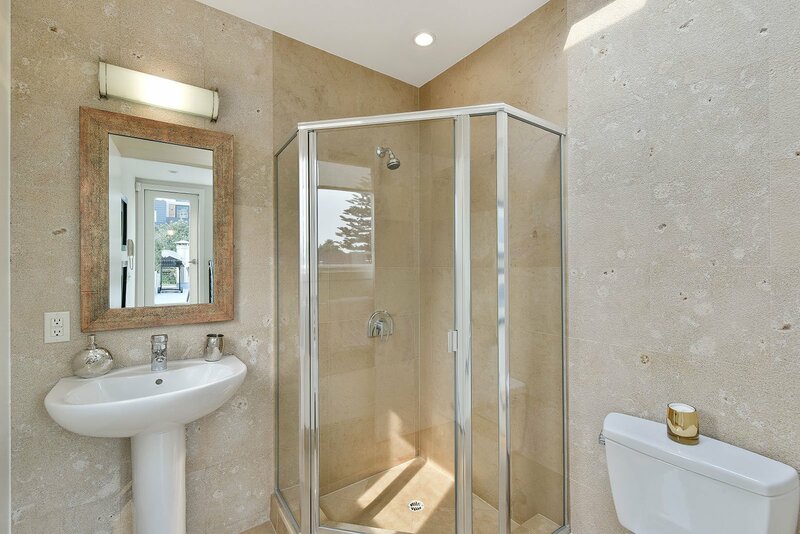 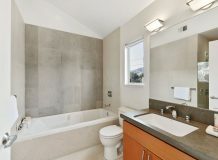 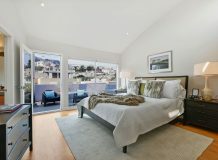 The master bedroom has an en suite bath, walk-in closet and west-facing deck. 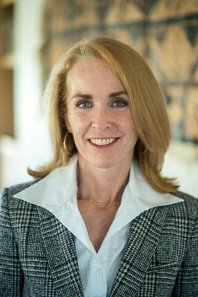 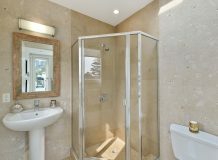 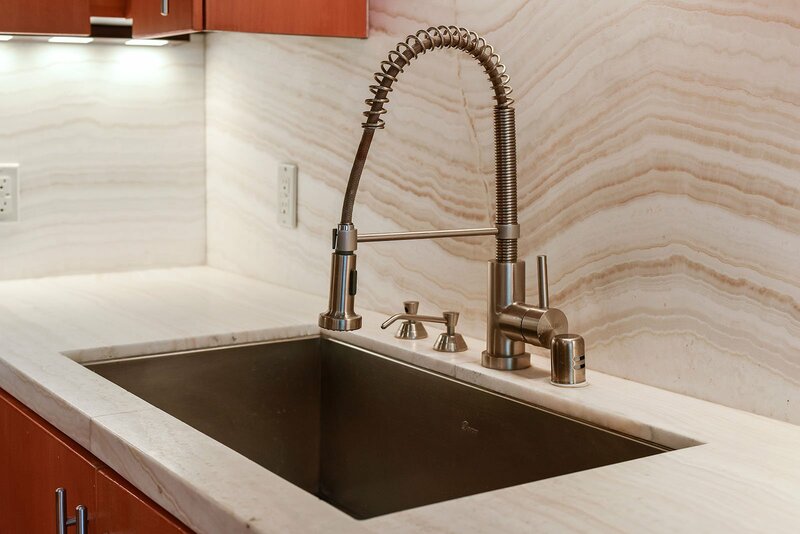 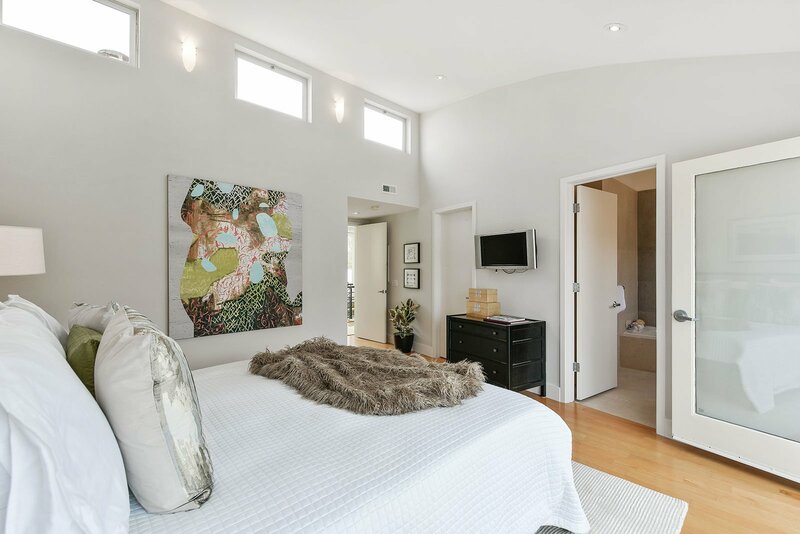 Also included is an in-residence laundry, 1-car parking and a deeded storage room. 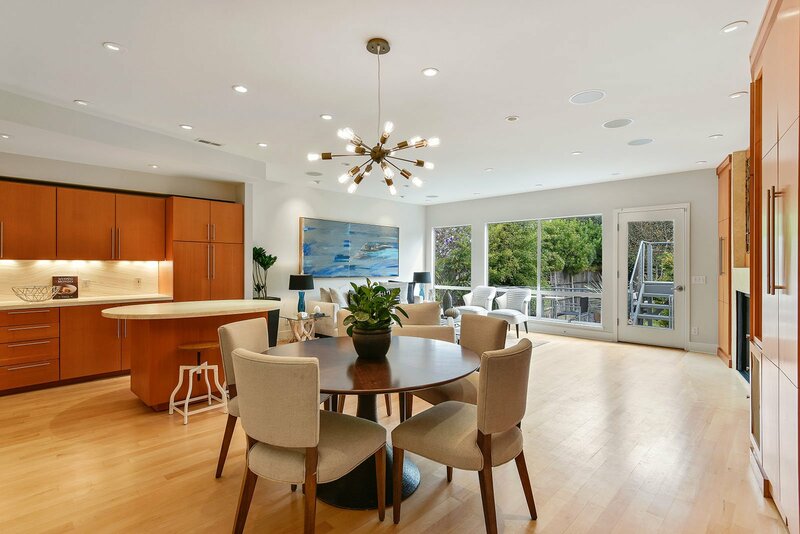 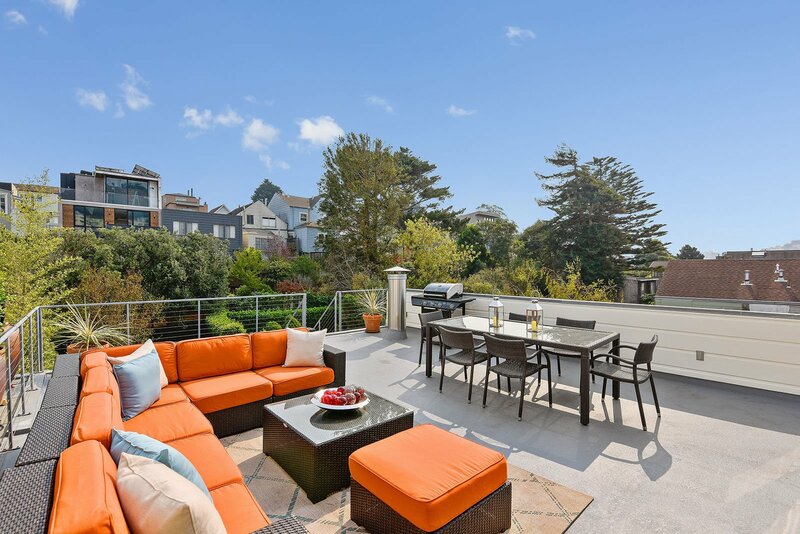 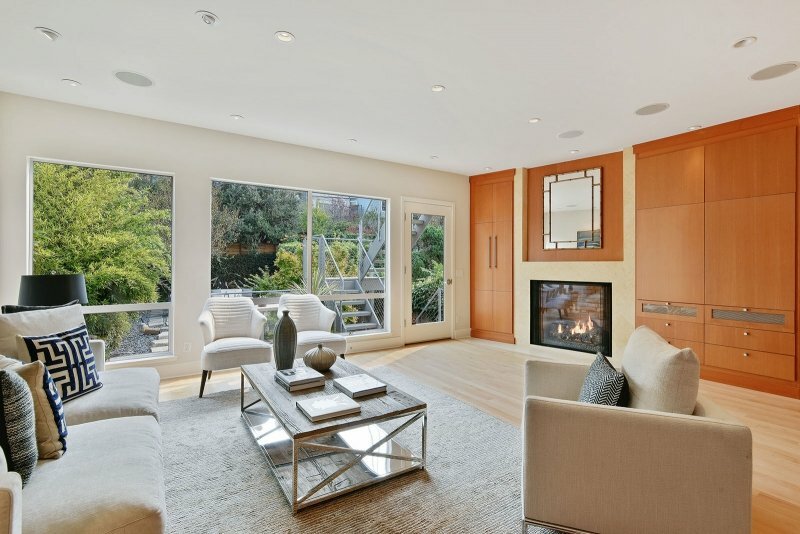 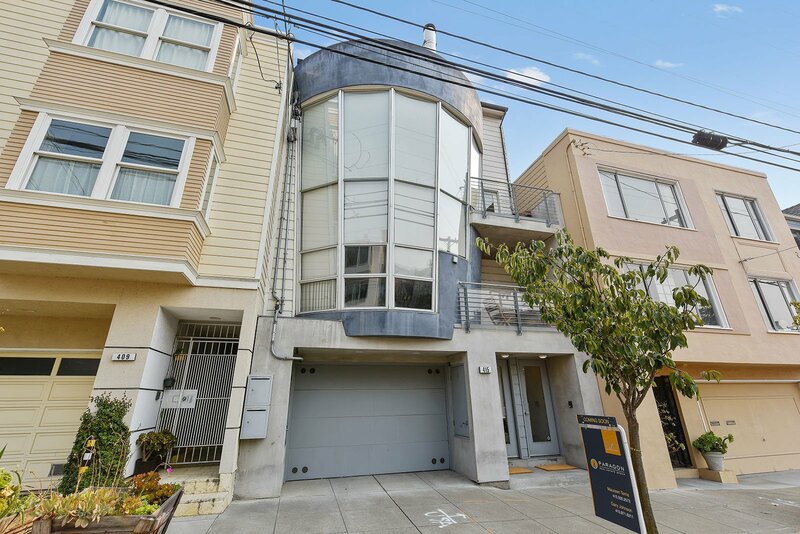 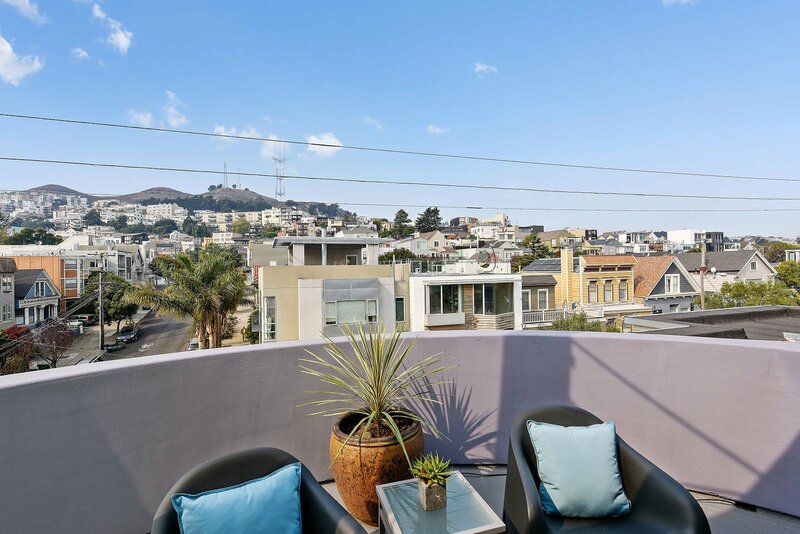 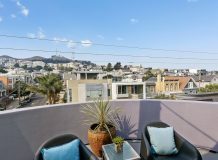 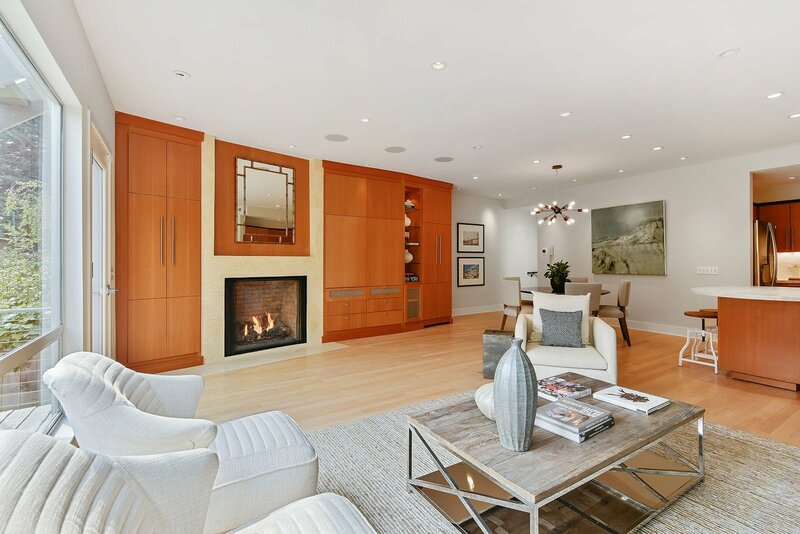 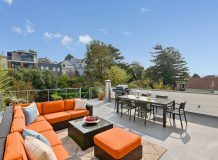 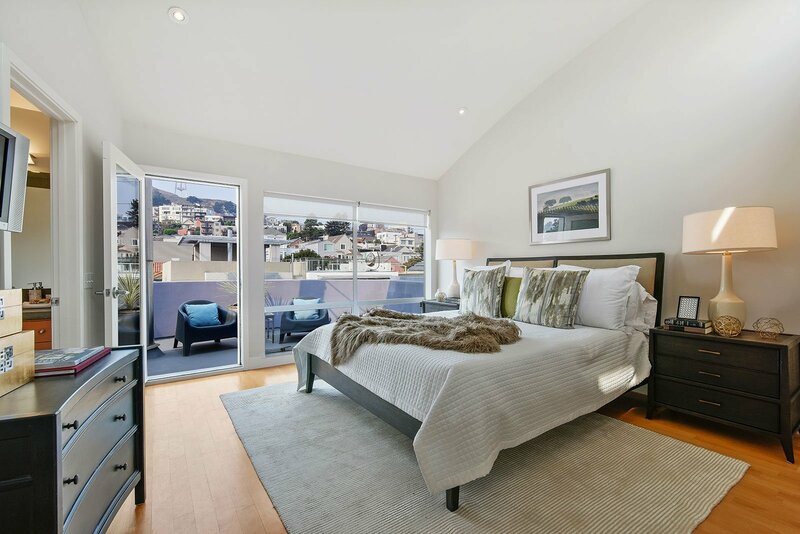 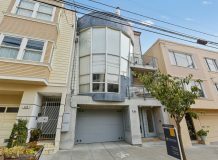 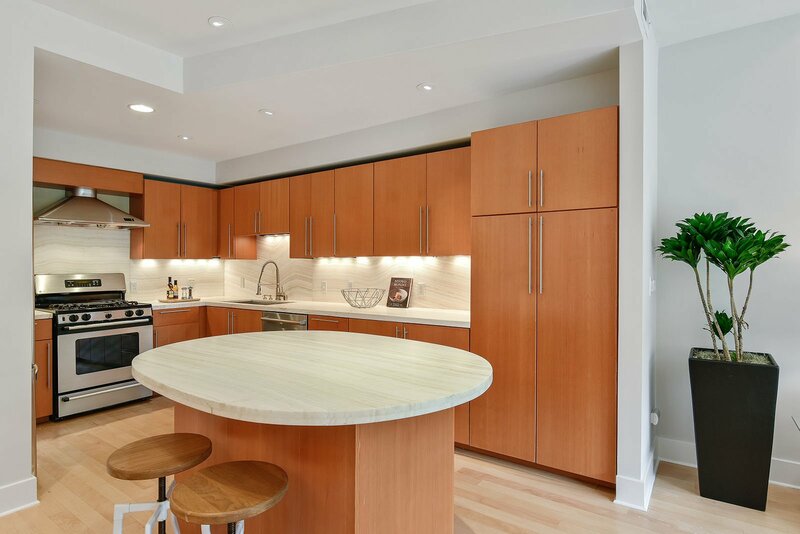 This wonderful home is nestled between the Noe Valley and Eureka Valley business districts.